Get early access to our new ecommerce Facebook Messenger platform. Get top ecommerce industry knowledge delivered to your inbox every week. Ecommerce Magazine is powered by extensive knowledge from 50+ of the world's top ecommerce experts. Are you attending Shopify Unite? We'd love to feature you. Learn more here. 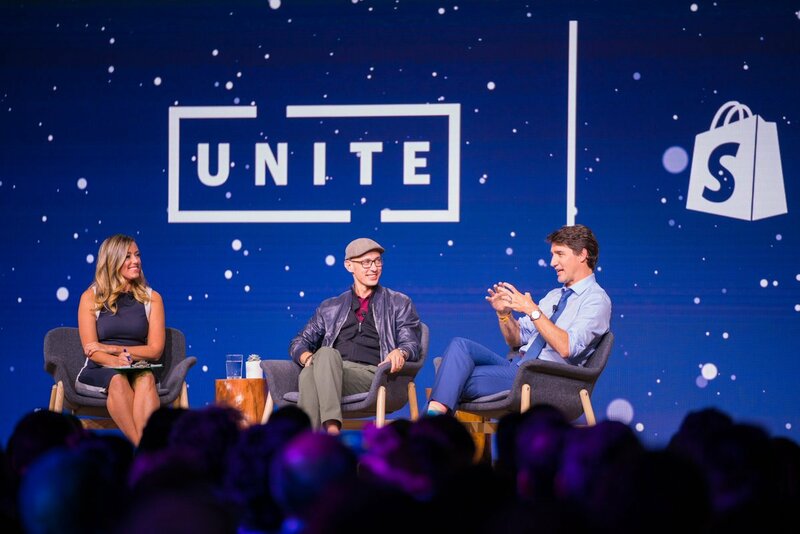 Shopify officially unveiled the details around their annual conference, Shopify Unite 2019, which will take place on June 18-20, 2019 in Toronto. Unite will bring together partners and developers with the goal of creating a more collaborative community, simplifying the technological component of their platform, and the latest products and features. Last year, for example, Shopify announced new marketing solutions, a multi-currency feature, and Dynamic Checkout. In today’s e-commerce environment, Direct to Consumer (DTC) brands rely on a compelling and unifying story to sell products and build communities. When done right, the customer experiences a seamless user journey from discovery through purchase. When it misses the mark, the customer experiences a disorienting blend of editorial and shoppable content that usually results in exiting the site. Last week, Gmail announced the launch of Dynamic Emails, an improvement that brings interactivity and engagement directly to emails. Prior to the update, emails have always been static in nature, often acting as a launch point into more complicated tasks and quickly become dated. User-generated content is one of the most valuable resources that ecommerce retailers can take advantage of. Having customers create content for you is the dream! One user-generated content type that’s becoming widely adopted is a question and answer (Q&A) section where customers can ask and respond to questions about individual products. The realest influencers in the industry. And why. The influencer marketing landscape is diverse to say the least. Finding an authentic influencer whose opinions are truly valued by people is a lot harder than it seems. It’s getting increasingly easier to identify “fake influencers,” and with the increasing rise of paid promotions, people are more wary than ever to take the plunge on products that are potentially sponsored by celebrities and influencers. For ecommerce businesses, working with the right influencers can take your business to new heights! The growth of ecommerce has resulted in an overhaul of many social media platforms to facilitate advertising and marketing initiatives. On Facebook, Instagram, and Twitter, this fact is almost annoyingly obvious for the end user. A consumer casually searches for a new pair of shoes, decides not to buy, and suddenly they can’t escape those shoes in their social media feeds. We recently met and interviewed Nick Molnar, the Founder and CEO of Afterpay at Shoptalk. Afterpay allows merchants to offer flexible payment options upon checkout. Instead of paying for an order in full, customers can now pay for an order in 4 equal payments. Used by top merchants like Kylie Cosmetics, Steve Madden, ThirdLove and more, Afterpay has become of the premier payment services for merchants. We recently had the chance to interview Pinterest at Shoptalk. They announced new features allowing brands to upload their products to Pinterest and create shoppable feeds so customers can find and purchase exactly what they're looking for. We spoke to Amy Vetter and Tim Weingarten about what's next for Pinterest. Welcome to the homepage of ecommerce. Industry insights and sharing knowledge from the community. Ecommerce Magazine exists to highlight digital innovation in the fast growing industry of ecommerce. Octane AI: A digital concierge for every store.